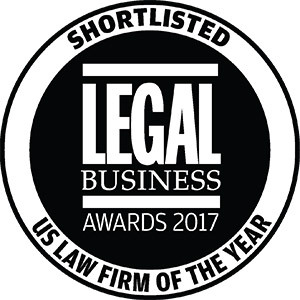 Edwards Gibson is pleased to be sponsoring the 'US Law Firm of the Year' Award at the Legal Business Awards 2017. This award highlights the US firm that has made the greatest progress over the past year in advancing its strategy, improving financial performance and winning instructions, particularly in the City. The awards will be held on Thursday 23rd March at The Great Room, Grosvenor House.